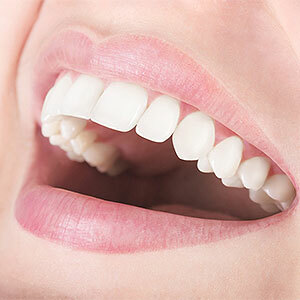 For chipped, stained, or slightly crooked teeth, dental veneers might be the ideal solution. These thin layers of porcelain bonded directly over the teeth with the perfect blend of color, sizes and shapes, can transform a person’s smile for a relatively modest cost. But if the teeth belong to a teenager, veneers might not be appropriate. This is because in most cases, we’ll need to remove some of the tooth enamel so that the applied veneers won’t look unnaturally bulky. This alteration is permanent, so the teeth will require some form of restoration from then on. While not usually a major issue with fully matured adult teeth, it could be with the developing teeth of pre-teens and teens. During childhood and adolescence the tooth’s inner pulp plays an important role in dentin production, and so the pulp chamber is relatively large compared to an adult tooth. This larger size places the pulp closer to the enamel surface than with an adult tooth. Because of its proximity to the enamel, there’s a greater chance veneer alterations could damage a teenager’s tooth pulp and its nerve bundles. If that happens, we may need to perform a root canal treatment to save the tooth—also not an optimal situation for a developing tooth. That’s why we need to take into consideration a patient’s age and stage of dental development first, including x-raying the affected teeth to measure the depth of the tooth pulp. If we deem it too risky at the moment, there are other ways to improve dental appearance at least temporarily. This includes whitening externally stained teeth with a bleaching agent, or applying tooth-colored composite resin material to chipped areas. We can also apply a composite material veneer that, although not as durable as traditional porcelain, doesn’t require much if any tooth alteration. To know your options, have your teenager undergo a thorough dental examination. Your dentist will then be able to discuss with you whether veneers can be safely attempted. And be sure the dentist who may perform the work has experience performing cosmetic procedures on teenagers.